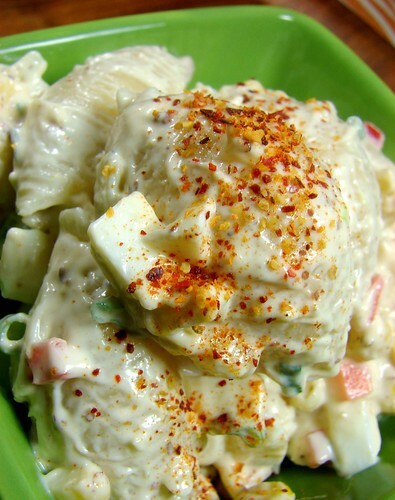 Ensalada de Coditos (Macaroni Salad) is a common side dish at family BBQs and beach outings in Panama, trumped only by potato salads. 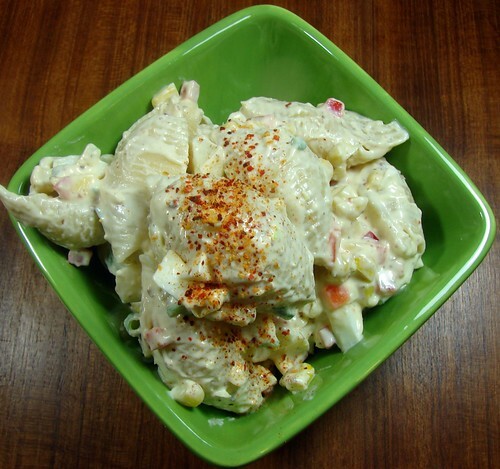 I love them both, but have to admit I most frequently go for potato salads. Boy, was I happy last week when I found no potatoes in the fridge and was too lazy to go to the grocery store for some. I didn’t have elbow macaroni either, just large pasta shells. Lucky, really, because the salad was too delicious for words. The Hubbz and I are still thinking and dreaming of it today. It makes for a great side with grilled meats. I cannot stress how easy it is to put together. 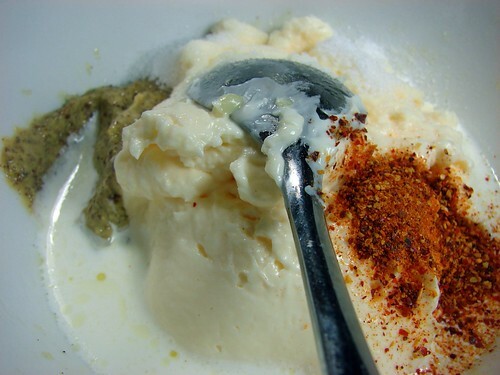 Feel free to add or remove ingredients at will. Use shells or elbow or penne, fresh or frozen corn, green or red bell peppers, or…, you get the drift, use what you like or have available. This is another non-recipe recipe. 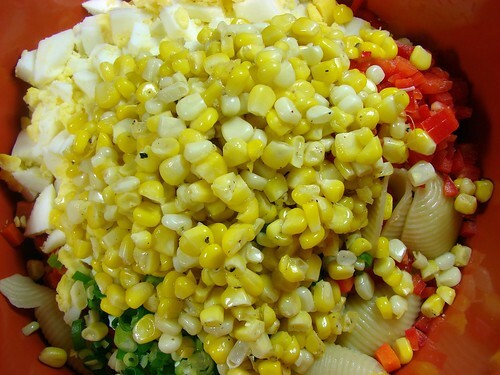 In a bowl combine the pasta, eggs, corn, bell pepper, carrots and green onions, set aside. In a small bowl, combine the rest of the ingredients until smooth, adjust the salt & pepper as necessary before mixing it into the pasta. Stir until well incorporated, serve cool or at room temperature. I love using the shell pasta. Everything gets caught in it! yummy! I love “coditos”, thanks for the recipe. Yum,Yum. I missed this one. 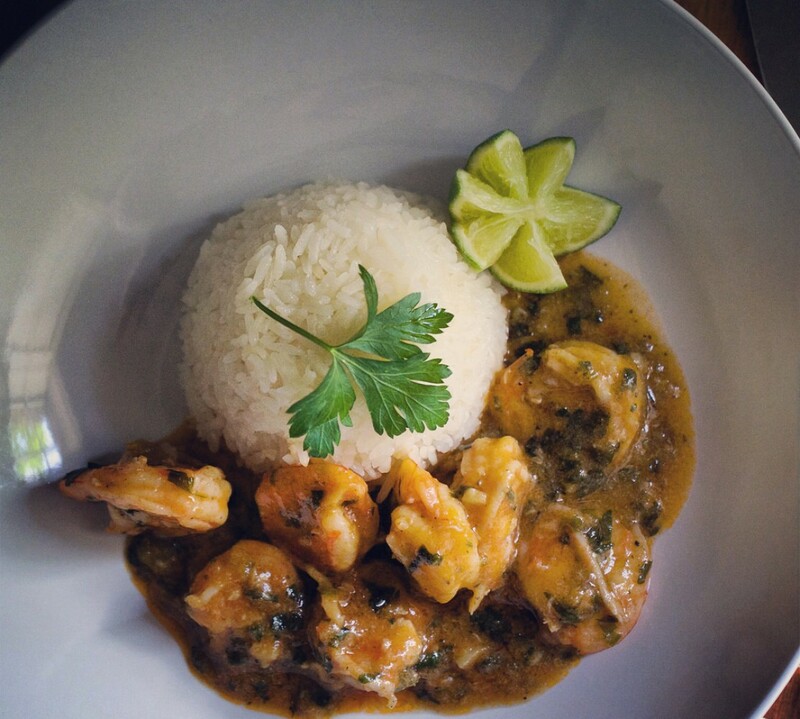 Coditos to you…se ve delicioso y quiero un platao!